The guys at MixVibes have announced a launch date for MixVibes DVS - and a special launch price for a few days prior to the official launch. 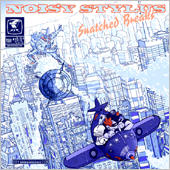 German DMC team champs and all round supreme tablists the Noisy Stylus crew have unleashed some new battle wax - entitled "Snatched Breaks". That's right. You can't keep a good show down. 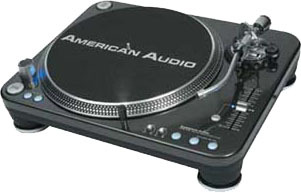 TurntableRadio is back with a new format and a new presenter. Another short CDX movie. This one shows juggling on a CDX and TTX. Herman Kelly would beat me down for destroying his music so badly. WARNING - I'm posting something that might be painful to your ears. I've finally got my act together and made a decent file from the CDX. Several more to follow as well in the coming week. The high end mixer market is about to get another product to shake things up a little. 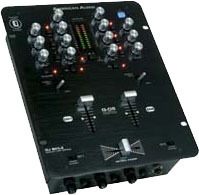 Rodec have announced their new 2 channel featured-filled battle mixer - the Scratchbox. Check back later. 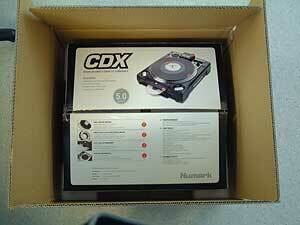 Once the smell of box-fresh CDX has filled the skratchworx underground lair, I'll give you my first impressions.